This is a view of a small Alpaca Farm near our house. A collection of small sheds for the alpacas and the chickens set in a small field. Alpacas look kind of like small llamas. I have to make a point to meet the little guys some day. 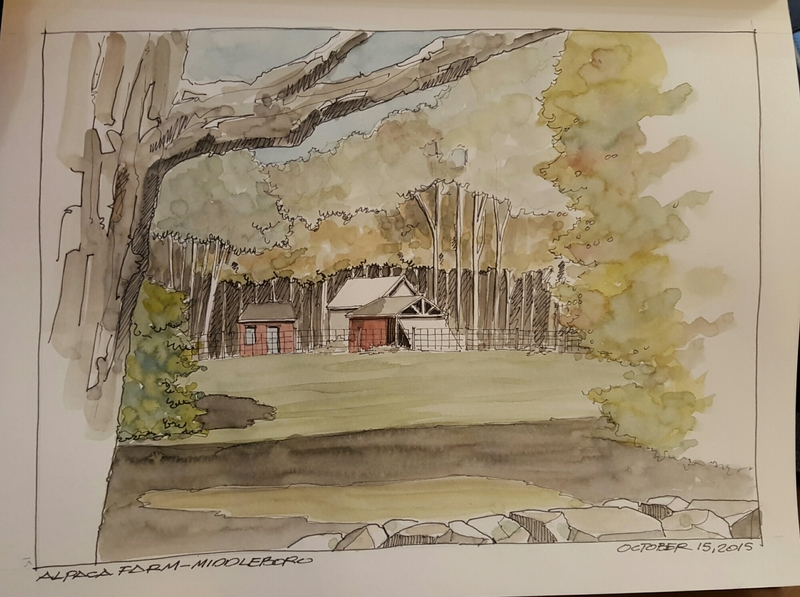 Prismacolor black pens with Pelikan watercolors in a Stillman and Birn sketchbook. I love how you framed this and your use of whites … the trees and structure. Great!